Our staff at EBG Systems are committed to delivering high-quality services and support. Manny Garcia has been in the pension and software industry since 1967. He holds a Bachelor of Science in Engineering from Ateneo de Manila University in the Philippines, and a Master of Management Science from Stevens Institute of Technology. He is also an Enrolled Actuary, a Fellow of the Society of Pension Actuaries (FSPA), a Certified Pension Consultant (CPC) and a Member of the College of Pension Actuaries (COPA). Manny founded EBG & Associates, Inc. in 1978 after leaving his position as Vice President of Product Development at Datair. In 1995 EBG & Associates, Inc. was acquired by SunGard Corbel. In 2002, Manny started EBG Systems, Inc. and began developing the company's portfolio of web-based software products. Manny's immense experience and entrepreneurship is the source of EBG Systems inspiration. His proven track record in the pension and software industries is a testament to EBG's success. As Office Manager, Ben Garcia cares for the everyday operations of EBG Systems and services the billing needs of our clients. Bill Gnat serves as the company’s Chief Pension Consultant. He is responsible for delivering pension plan administration services to plan sponsors, TPA’s, and financial services firms. His services include plan design, consulting, actuarial and administration services for Defined Benefit, Cash Balance and other qualified plans. 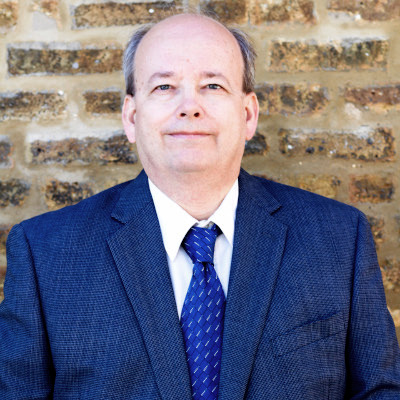 Prior to EBG Systems, Bill worked for EBG & Associates where he served as their long-time Defined Benefit Product Manager. Bill’s 22 years of experience in the pension industry allows EBG Systems to provide unmatched knowledge and service to its clients. Bill graduated from DePaul University in 1983 with a Bachelor of Science in Math and Computer Science. As Technical Manager, Ryan Strand is responsible for managing the design, development and technical support for EBG Systems' web-based workflow applications. He also oversees the Information Technology department and leads a team of programmers in developing the products. Ryan graduated from the Illinois Institute of Technology with a Bachelor of Science degree in Computer Engineering. Prior to serving as Technical Manager, he joined EBG Systems in 2009 and served in a number of programming positions across the company’s product lines.